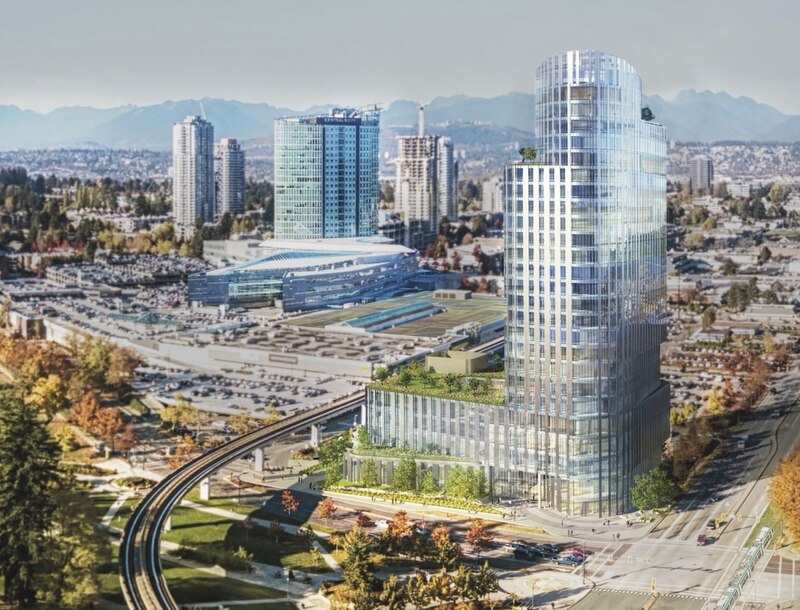 Blackwood Partners, have released new details on their upcoming ‘Central City 2’ office tower project at the corner of Old Yale Rd and King George Blvd. 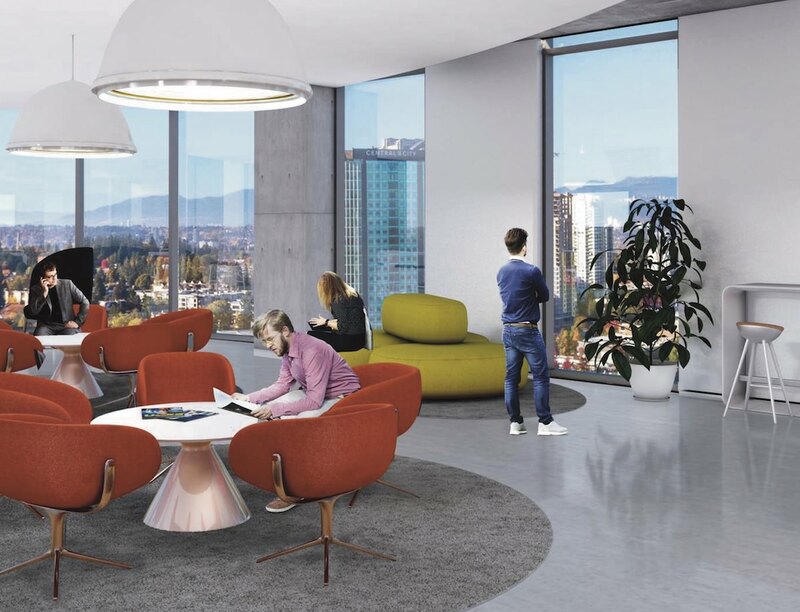 A new leasing brochure, available on the Central City website, provides some updated renderings, floorplans, and marketing information aimed at future tenants looking for office and retail space. 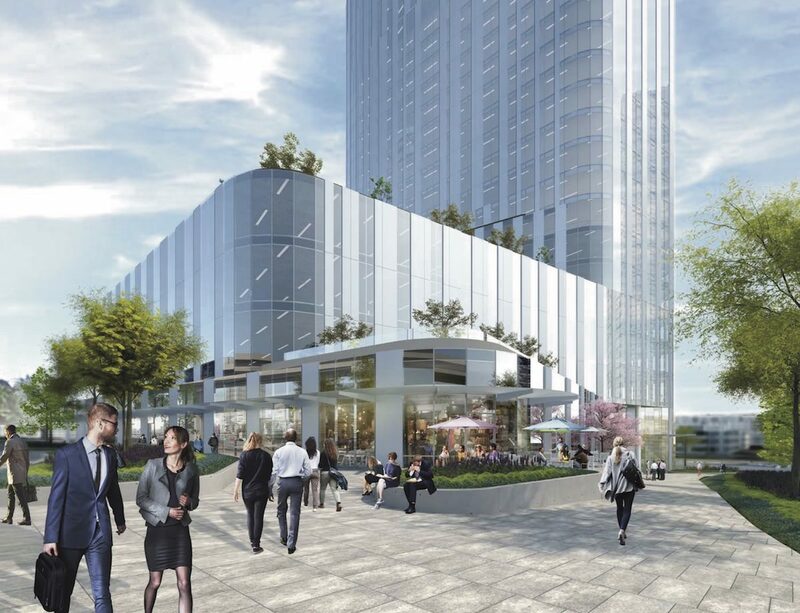 Since first being announced back in November 2017, the new renderings depict a re-designed, more refined tower, from that initially conceptualized. The new design features a stronger podium fronting Old Yale Rd and a more cohesive tower floor-plate and massing compared to the previous design. 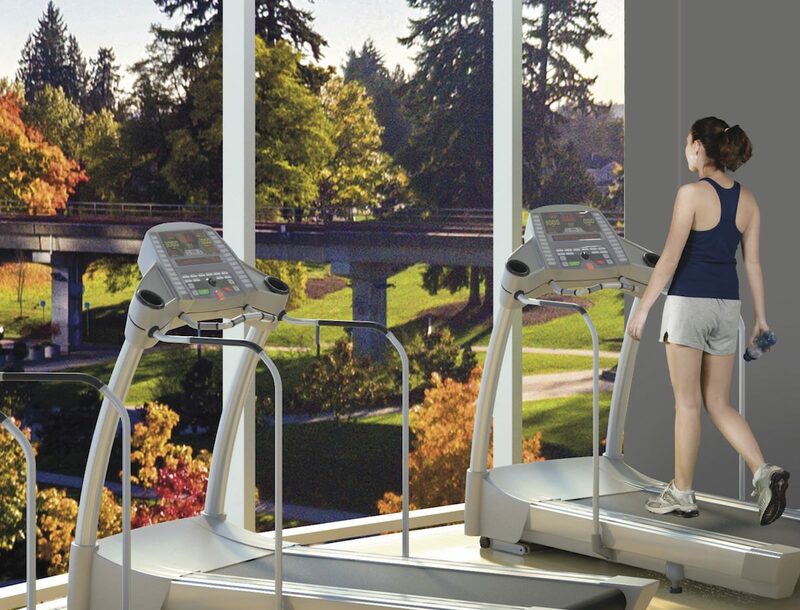 The rectangular floor plate blends into an elliptical floor plate on higher floors – referencing the existing 25-storey Central City office tower at 102 Ave & University Dr built in 2003. Electric vehicle charging stations and car share parking spaces. 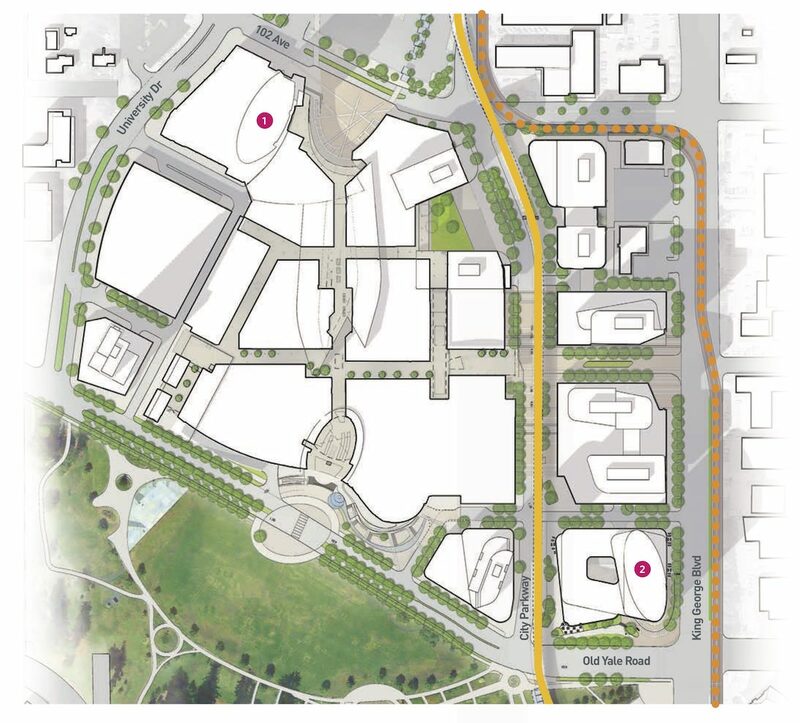 Also released as part of the leasing brochure is a glimpse at the long-range plan for redevelopment of the entire Central City site following Central City 2. 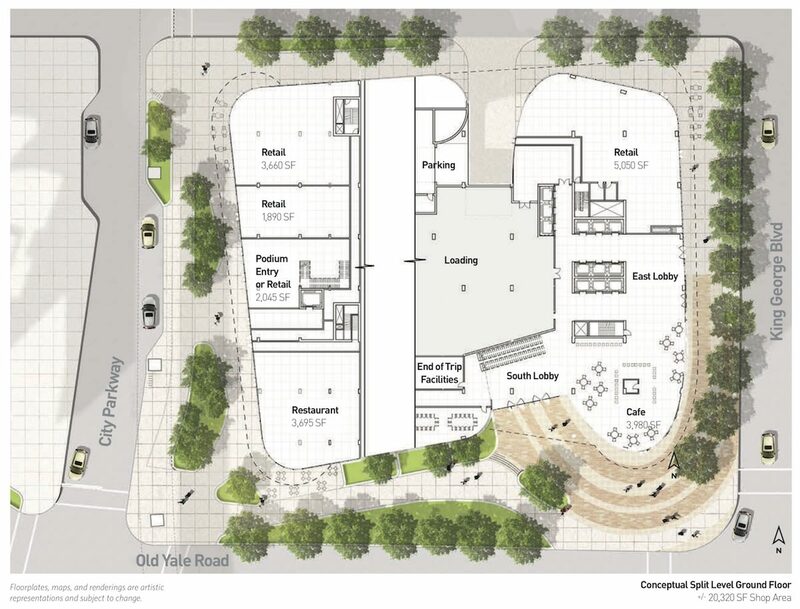 This plan will see much of the existing indoor shopping centre retained but renovated, with the introduction of a new prominent plaza at its south-end along Old Yale Rd, linking the shopping centre directly onto Holland Park. The existing parking lot along King George Blvd is envisioned to be broken up into a series of new city blocks, containing mixed-use high-rise development sites. A re-aligned City Parkway will connect directly through the site from the north, past a new entry plaza where Wal-Mart currently exists. 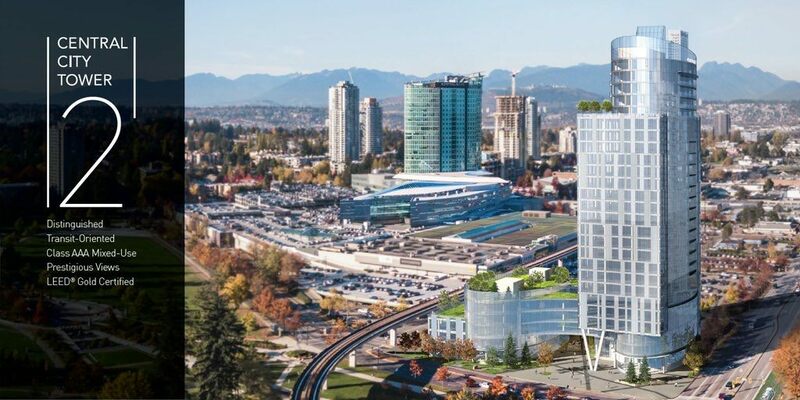 Posted on June 21, 2018 June 23, 2018 by UrbanSurreyPosted in Planning, RenderingsTagged Blackwood Partners, Central City, Central City 2. 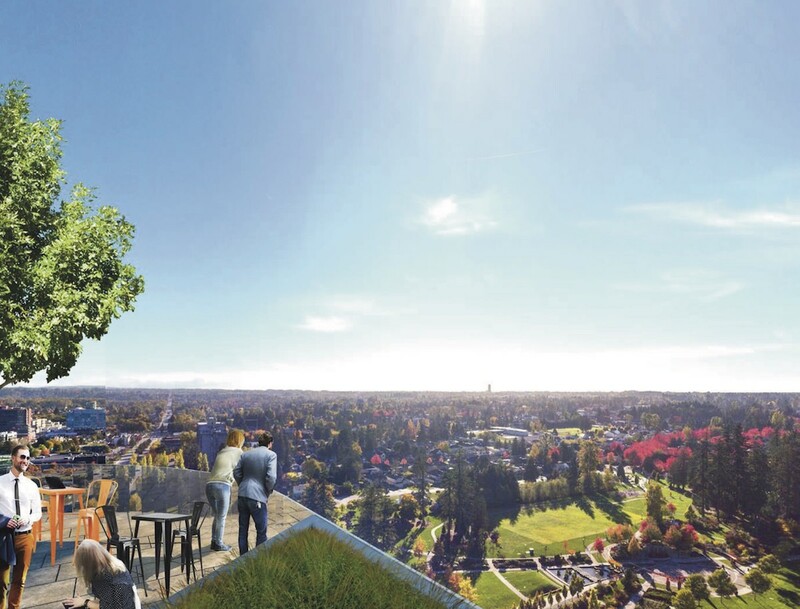 Previous Previous post: Concord proceeds to Council with next phase of ‘Park’ towers.